It doesn't matter, because this photo is a curiosity. 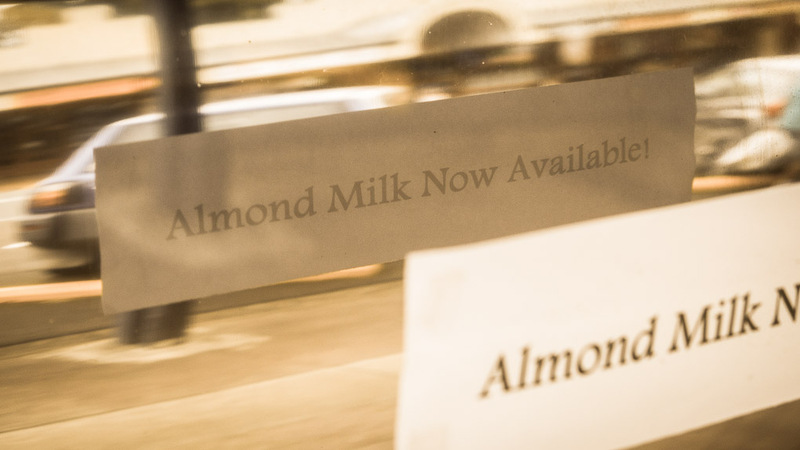 Did you know that if you tape a sign in your shop window that says "Almond Milk Now Available" just in front of your polished stainless steel coffee machine, at precisely the time of day when sufficient light is shining through the sign for the reflection to pick up the words, that the reflection will mimic the sign and not be reversed? It's logical of course, but it plays with one's brain for a bit in real life. I've seen similar effects with multiple reflective surfaces.